How do the theories about how life should function actually translate into our daily routines of life? One plus one does in fact equal two that is the cold, hard fact. We want life to work neat and tidy that way. If you do ‘A’ then you will get ‘B’. Really? Does your life work like that for you? Please tell me your secret! It is true that God’s promises are trustworthy. But at times we want to twist them so that they actually favour us. As a Pastor and a person of faith it is worth noting that God does work on my behalf. But he actually is more interested my becoming a person of character and integrity than he is in being a “genie” who grants my every wish. As I write this blog today I do so as one who has tried to manipulate God (unsuccessfully, I might add!) into doing what I want done. Yes, by his grace he has blessed me above and beyond all of my hopes and expectations. But I wanted other things and other situations to occur. I am learning to be faithful and content in the little things in life, like getting up every day to read his word and thank him for another day of opportunity to be a difference maker for him. The application of God’s Word on a daily basis is not just about career decisions or when a family crisis hits. Now, thank God that he is there in those moments. 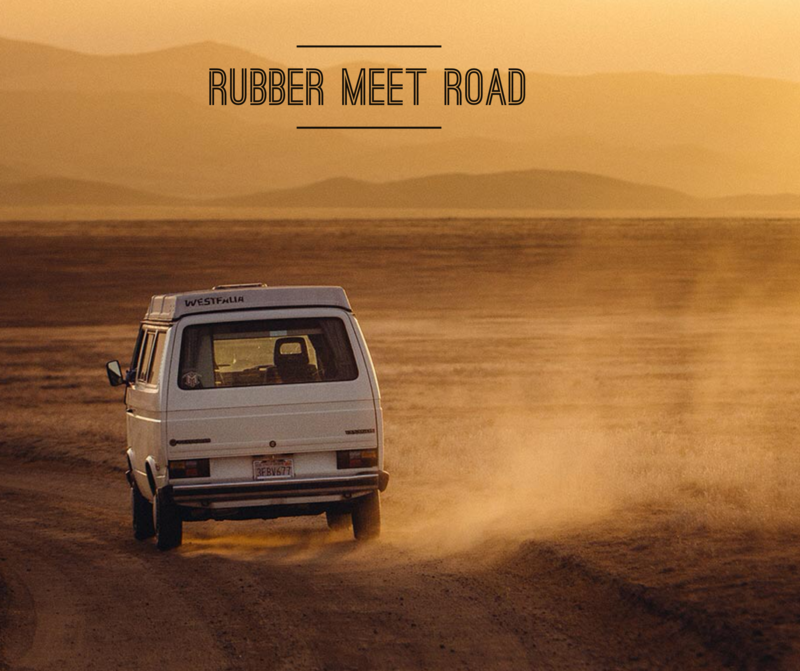 It is when we live life in its routines and ‘ordinariness’ that the rubber really meets the road. That is then when the longevity of our life of faith will be measured and tested. The Apostle Paul wrote to the Church in Philippi, “…work out your own salvation with fear and trembling, for it is God who works in you, both to will and to work for his good pleasure” (Phil. 2:12-13). Yes, God had made those dear people tremendous promises of a home in heaven and the promise of his daily presence in their lives. However, when the rubber met the road they needed to know God was there every minute of every day enabling them to be his people living according to his will. It is wonderful to think about tomorrow! But today, you and I live counting on his presence while we faithfully and actively carry on our daily activities.